HPV does not cause cervical cancer, Dr Peter Duesberg, void vaccines, hospice message, Dr Frank King, hypothyroid, weightloss, fitness & more! The Robert Scott Bell Show January 23, 2015 Click here to download & listen now! Friday on The Robert Scott Bell Show 7-9PM EST: Is there any crying in talk radio? If we keep covering the many medical kidnap cases, it will be hard to keep a dry eye. Who else is crying? The followers of the Church of Pharmaceutical Mysticism are having a tough time. Their faith in the sacrament of vaccination is being shaken to the core as more victims of its dogma speak out. Do not go quietly into the night while innocent children (and adults) are continually targeted with syringes containing toxic pollutants, including foreign RNA/DNA. And that includes the viewers of Live with Kelly & Michael on ABC. 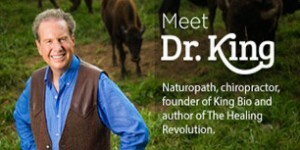 They had a doctor on this morning speaking an outright lie about vaccines and disease prevention. What was it? Listen in and we will let you in on a little secret: HPV does not cause cervical cancer. Then RSB talks with Dr. Frank King about hypothyroidism and the broad-spectrum approach necessary for recovery. 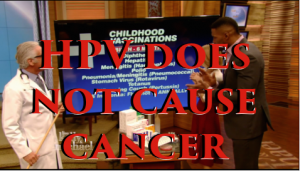 Dr. Peter Duesberg returns to reveal the facts that prove HPV does not cause cervical cancer! How is it that PCR is not a viable method to determine causation in such cancer cases? We’ll discuss chromosomal aneuploidy, individual karyotypes at the origins of cervical carcinomas and the reasons that cancer really manifests. Can you say epigenetics and the environmental stressors that damage cellular integrity? Put on your eggheads, this is going to be quite a revealing ride! Special thanks to Norma Erickson and SaneVax for connecting the cervical dots! 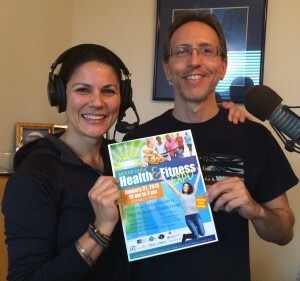 Finally, fitness consultant Sine Wallace joins RSB to preview next weekend’s Mount Dora Health & Fitness Expo! In the mean time, contemplate on this sentence from an advertisement for a Hospice Center: “When it’s time to focus on the patient, not the disease…” Call with your questions at 1-866-939-2355. Listen in at www.NaturalNewsRadio.com. Question/Comments of the Day: 1) RSB and Dr. King, I have Hypothyroidism, I looked online for natural cures and found what seemed to be a natural way to reverse this condition. I am taking several vitamins (see below), however, I am still struggling to loose weight. I do have more energy, my mood has improved, but my weight continues to go up in spite of my increased exercise and improved diet. 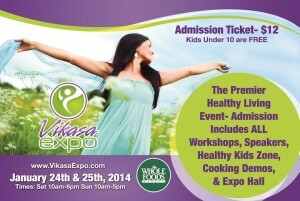 Vikasa Expo January 24-25, 2015 (TOMORROW) in Orlando, Florida! Mount Dora Health & Fitness Expo, January 31, 2015 from 10AM to 3 PM EST! Raw Food Retreat February 13 – 15, 2015 in West Palm Beach, Florida – Call Paul Nison 561-283-1707 directly to sign up! Will Medical Kidnapping in Arizona Change Under Governor Doug Ducey? What keeps RSB and TMB strong through the stress of travel and colder winter months? Beta-1,3D Glucan from Better Way Health! Call them at 1-800-746-7640. Take advantage of this incredible deal on One World Whey! 1-888-328-8840! www.oneworldwhey.com HAPPY NEW YEAR! We’re celebrating the New Year by giving you 20% off on all One World Whey purchases now through January 12th, 2015. We appreciate your business. Due to an overwhelming response we decided to extend our sale until 1/19/2015. Enjoy 20% off on all One World Whey purchases! Customers like you make doing business a real pleasure! Call to order or buy online and use offer code: nyr20.